Every game developer starts somewhere. Maybe it was a goofy little Twine project. Maybe it was a mod level. Maybe it was drawing a D&D module on graph paper, or scribbling their own Mario levels on notebook paper in class. Maybe it was inventing new “house rules” for Risk or Monopoly. Everyone remembers a key moment when they first realized that they could write their own rules, design their own systems, tell their own interactive stories, and create their own virtual worlds. Gamasutra reached out to several developers to ask about those moments and memories–their own personal origin story. We were overwhelmed and inspired by the variety of stories we heard, and we think you will be too. I played a ton of non-electronic games as a child. There was a war game played with a pencil that was very popular during my 3rd and 4th years at elementary school. You had to attack other players’ forces, moving units such as tanks, aircraft carriers and fighter jets. For the map we used the back of newspapers to make hundreds of variants, with a fresh one to play with my friends every day. After war games I made another game using pencils which was a racing game. As before, I made a new course every day to play with my friends. The biggest was a racing game with 50 levels, but it had complicated rules and required so much play time that my friends became complacent and didn’t play that one. It’s a very happy memory, creating my own game and story and expanding on them. That was probably my starting point as a game designer. As a child of the 80s, I was schooled on game-making by the type-in listings we’d get from magazines and dutifully copy out. And, more specifically the books from Usborne Publishing that would pull us in with the elaborate illustrations on the cover of dragons and knights and all sorts of magic. As a teen, I made a series of text games that chronicled one of my friends’ search for romance; bawdy romps as much influenced by the BBC’s Bottom as by the Infocom titles that I loved. When I look back now, the heart of those games was a kind of antagonism between the game’s narrator and the intended audience, a kind of humor that came from making my friends act out their own humiliations. Already I was thinking about the complicated relationship between the creator and the audience in an interactive story! I made an overlay for Clue when I was a dorky middle-schooler! I swapped all the murder-rooms for places like McDonald’s and “Nintendo HQ.” The weapons all became anvils, poisoned chocolate and submachine guns (I was going through a Wolfenstein phase); and the possible killers were all me and my friends. Great fun. I still have it. I think it tapped into my love of taking things from my own life and sticking them in the games I’m working on, which later manifested itself in my game Cat President, where most of the character portraits were photos of my friends’ and family members’ actual, real-life cats. As a teen, my mother was (probably justifiably) concerned that I was spending too much time with our video game consoles, and cut me off video games entirely. However, what she didn’t realize was that she accidentally pushed me into the open arms of MUDs, the all-text precursors to modern MMOs. I became downright obsessed with the characters, stories, and politics of these virtual worlds, to the point that I ran out of things to do and began volunteering my time to create and run worlds of my own. Several years later, just as I was finishing college, I ended up working with Iron Realms Entertainment on their commercial MUD Aetolia. In 2005, I realized I enjoyed designing new characters and systems more than I actually enjoyed playing games. I already had a full-time job teaching English in Japan and yet I would spend hundreds of hours creating quests, areas, items, and hosting events. And it seemed I was good at it. After that realization, it seemed clear that I should try pursuing a career in game design, by any means necessary, and have a chance of getting paid for this thing I was willing to do for free. My first game was an RPG Maker 2000 game called Toby’s Adventure and I don’t remember anything about it except the theme song was a .wav of me singing and doing trumpet sounds with my mouth. The first game-like experience I can recall is probably when I was around 10 years old. I played a lot of Worms and Worms Reinforcements on my PC. My friend and I would play together, but instead of trying to kill each other’s team every round, we’d often make our own game by creating bases for our team’s underground. The idea was to create a secure base within a certain amount of goes, before endless airstrikes would fall down and attempt to destroy them. Whoever’s team survived the longest, won. We actually preferred to play the game this way, as it was a little less aggressive/ competitive. Around the same time, I was also very fond of the level editor on Micro Machines Turbo Tournament 2. I just found it a little limiting and wanted to create my own levels from scratch. I remember drawing tracks on paper, though it never amounted to much more than that! In the fourth grade, I was introduced to LOGO (aka Turtle Graphics) on the Apple II GS. It was a simple programmable drawing tool. The assignment was to just draw some basic shapes, but I really enjoyed LOGO, so I went overboard and created a whole winter scene with snowmen, mountains, snow flakes, etc. I even tried to create animations by “overdrawing” different areas and having them “move” across the screen. My teacher was blown away. Unfortunately, I didn’t really understand the relevance of what I did and how it related to actual programming or game development. It wasn’t until many years later when I did anything with computer graphics again. 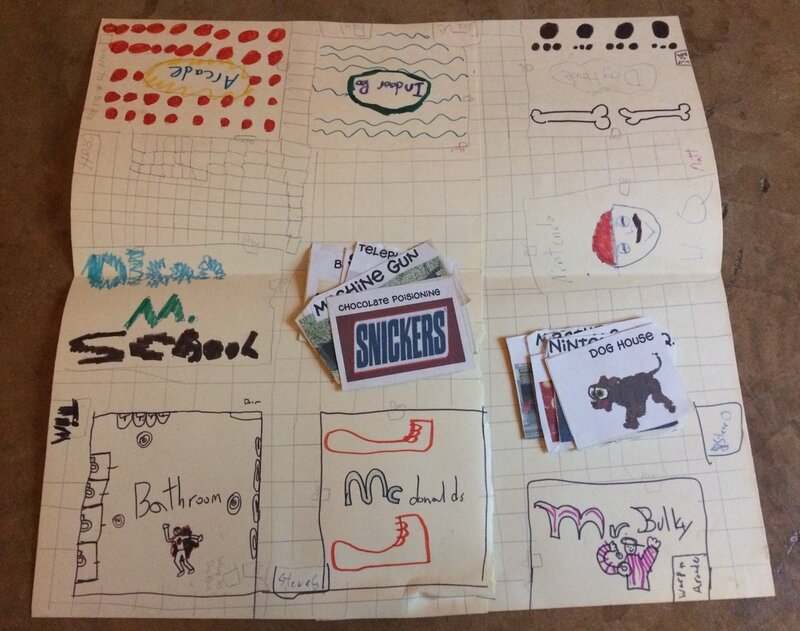 In high school, I used the Duke Nukem 3D editor to build a level map based on my high school. I accurately modeled the entire building. It was a painstaking process and it took hours and hours. Like many kids, I was desperate to re-imagine school as a different possibility space than the one I was forced into. My high school experience wasn’t that terrible, but it did feel like being in prison at times. Now I wish I would have spent my time doing something more original and interesting, but at the time, building my own transgressive power fantasy was a mental escape. It’s sad more kids don’t have similar creative outlets. I don’t want to be flippant about something so terrible, but when I see news about gun violence in schools, it doesn’t really surprise me. My parents often had dinner parties for their friends, whose kids were younger than me. As the eldest, I was put in charge of entertaining them all. The games I came up with for us to play together usually involved a known street game mechanic but with narrative twists. One such game I can remember that was a huge hit was a hide and seek + tag combo. The opening of the game was normal hide and seek rules — one seeker, everyone else hid. The twist was that the seeker was a hideous, scary, magical creature (making growling and snarling noises was encouraged) and had the power to turn someone who was hiding into a seeker by tagging the hiders as they were discovered. The tagged hider immediately joined the seeker monster team and helped find others. The hiders, in turn, could run to a safety location, where the seekers couldn’t get them (limited based on how many hiders were playing, so that not everyone could be in a safe area). If the seekers were able to find all the hiders within 3 rounds, the seekers would win. If there was a round where someone hiding couldn’t be found after 10 minutes, the hiders got to turn back a seeker into a hider. The hiders would win if in each round, there was at least 1 person who wasn’t found within the time limit. It’s worth noting that this originally started as a much more simple game and that the rule set grew to include the safety zone and its limits, the idea that you could be turned into a seeker or back into a hider, and so on. The funnest part was deciding with everyone on what would be a fun rule to introduce and trying it out. There was lots of lively arguing over how long the seekers had to wait before starting their search, how long the rounds were, how quickly were the seekers allowed to move (maybe they were *slow* monsters! ), what kinds of powers the seekers would have, and so on, but it was really cool to see that the kids would nearly always come up with mechanics ideas that were primarily motivated by the fiction of the scary seekers, rather than dry balancing considerations. I really loved watching them really get into those monster roles (even when it tipped off the hiders to their presence — it was a great morale-breaking tactic). Since I was the oldest, I got to decide on which rules became official, but the ideas came from everyone and the best part was feeling like the game fiction came to life, shared by everyone, and was no longer just a vague idea in my head. Kids got so into it that they had very strong opinions on the direction it should go and even came up with back stories for the monster seekers. We never did get the balance right — the difference in ages made this really tricky — but because there was a playful aspect to the game where we could pretend to be monsters or try to escape them, we all had fun anyway. Reading this over, it really sounds like a zombie game. 😀 But note that in the USSR, we didn’t have zombie movies, so they were explicitly not zombies but some sort of folktale creatures. I made my first complete game when I was 13. It was a card game, drawn on notecards with crayons and pencils, with a printed uniform back, all hand laminated together. The game was called Thriblets, and it was a battle resource management game. I remember making the game to overcome issues I had with Magic the Gathering. Not all my friends could afford Magic cards, and when they could, those of us with more money would usually have the better decks. and where we drew cards from the same deck. While a lot of the other students didn’t understand why I’d make a card game. There was this fantastic feeling when I played it with friends. Having a shifting experience that we could improve as we played. I didn’t know it then, but every time we played, we were effectively playtesting it. I loved the idea of creating my own systems. Not making a game that was “my version of Magic,” but a game that scratched the itches I had from Magic. Eventually I shifted work to a paper-figure tabletop strategy game: Warhammer 40,000’s rules are even more complex than Magic, and the game has an even higher monetary barrier to entry. Both of those I wanted to tackle. My first real playable game was made in Klik & Play and it was going to be my Sonic RPG answer to Mario RPG on the SNES. I had some awful artwork, inappropriate music in midi form, and fistfuls of ambition. I had absolutely no idea where I was going but I was going to get there fast. My biggest hurdle was that K&P did not have any simple way to transfer data between levels and could not do screen scrolling. The software did however support up to 4 players and gave them a global value for lives and scores. I started looking into how password systems worked in Wonderboy 3 and how I could maybe use that. I ended up creating a few puzzles and sequences that kept permanence with this 8 value system. I was hooked on making games, playing games, and making more games. This was one of those moments were I found myself starting to go way beyond my normal realm of scholastic books, grade school learning, and Saturday morning cartoons. I needed to bring my creative work to life and invent worlds. I continued to use Klik tools for years as they updated and changed slowly. The whole time I regularly hit its limitations while discovering ways around it like the password system above. I got into animating as well as comic books, but making games was my focus. I’ve always just had the itch to create. My dad made sure that I always had paper and pencils to get all that energy out on. I’m glad my parents helped me focus that passion and never told me to give up on what I was doing with my time. If you mean an actual game as opposed to arts and crafts, I think it would have to be a board game I made when I was in elementary school.I don’t remember the finer details, but I had drawn a chess board pattern on the back of a spare worksheet and was explaining the rules and setting to my schoolmates as though I was the Game Master for a tabletop RPG. It was satisfying to have people play my game. Filled with self-confidence I made a second, which became something of a series, so I think the grounding in what I do now was formed at that time. The first game I ever played was called GORILLAS. It was an MS-DOS game – a QBASIC game, to be exact – that came with our first home computer. I must’ve been five or six years old at the time, and I was trying to mess around with the computer. I knew sometimes computers had games, but no matter what executable I fired up, none of them was a game. That was, until I fired up QBASIC.EXE. QBASIC was a programming environment for Microsoft’s QuickBASIC programming language, and with it came some tutorial files. NIBBLES.BAS was Snake, and GORILLAS.BAS was a 2-player “Tanks”-type game but with gorillas. To open the game, I loaded up GORILLAS.BAS, looked at the code, and then hit F5 to “run” the code. I couldn’t read English at the time, but I did find the main menu’s text in the code one day. I changed it to say “R A M I”, booted up the game, and saw my name instead of the normal main menu prompts. From that point on, I knew computers translate words into games – and I never stopped trying to figure out how to make things. As a child, one of the kids in our friends group called everyone to go to his home to play a new thing he has called “video game console”. It was an Atari, and for some reason I found it pretty boring. It was years later, when I first saw an arcade cabinet with Phoenix, that I was touched by video games. It was a lonely pilot fighting giant alien birds in the space, and everything was so dangerous and fantastic that I fell in love. I made my first game as a University student. Not a digital game, it was an analogue card game. 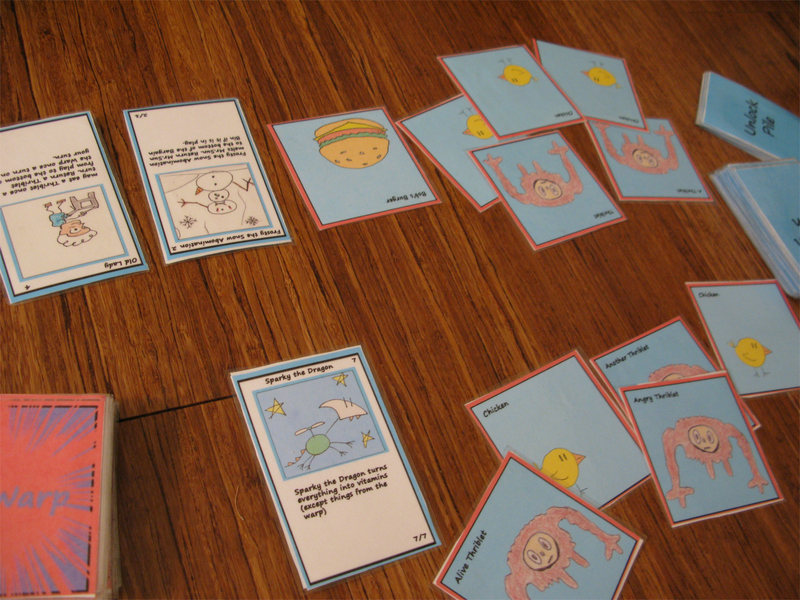 Influenced by games like Avalon Hill’s “Up Front” I wanted to make a simple card game of my own. In the game, you form your own yakuza gang, gathering members, building up your wealth and having fights – a dark game – but I remember enjoying playing it with my friends. The first indication that I was destined to become a game designer was in drafting class in high school. We were supposed to be building out floor plans for an open-ended architecture project and I decided to draw (from memory) the Hang ‘Em High level from Halo 1. It was my Drafting teacher that suggested I go into video game development after talking with him about the future, so if you’re reading this, thanks Mr. Macmillan! My parents were never the kind who bought everything their kid asked them, so if I wanted something badly, I would try to make a lame copy with the things I had at home. One of those things I really wanted was Kirby Super Star, when I was around 7 years old. I remember I drew Kirby on a tiny piece of paper, and different “stages” on my sketchbook, and I would move Kirby between those awfully easy levels. With time, I ended up adding mini-puzzles in between, and even making pop-up books to make the stages more interesting. I started sharing these activity books with my friends, and I discovered I enjoyed making stuff for other people way more than I enjoyed playing them myself. As I grew up I moved onto computer games after learning about Flash and other engines, inspired by the games I’d see on Newgrounds. I started to lurk game development forums when I was 12 years old, and since that moment I knew that it was what I wanted to do for the rest of my life. I don’t have any of those activity books with me anymore, but the oldest thing I have is the evolution of the sprites I have made for Long Gone Days. The analogue drawing is from 2003. I’m a musician. Over the years, I sent applications to different video game companies to work as a composer. It was difficult to find work, so I decided if I couldn’t find a serious video game project to make music for, I would create the game myself! In doing so, I discovered that I really liked to create games, their rules, their worlds, and the code to give them life. It wasn’t the first video game I’d ever worked on. I was a data manager on Tintin, Michael Jackson, and Just Dance 2, and then I was a designer on Killer Freaks and ZombiU at Ubisoft. But Overdriven was the first game I made all on my own. I originally started as a Net Artist. My interest has always been the web and how interactivity and art there can create new types of creative expression that are yet to be explored. At least that was my underlying drive. When I started (seriously creating, not just “tinkering”), I was reaching the end of high school and looking at college. This was the dot-com bubble era. I would spend most of my time in the library, planning what I would create when I came home. Doodling plans during classes. My world was online, and creating things there was all I would do. It’s not something I shared with friends either (nobody knew). Most of my work, at the time, was being done to this project called “BlueSuburbia”. You can still “play” it here. It was my idea of creating a world based on interactive poetry, art, and animation based around my writing. Kind of like poetry you would not only read, but really experience and feel. During the point where college was a serious consideration, almost all of the professors told me that I should stay away from computers and that “internet niche” because computers can destroy your creativity. I absolutely did not fit in, or have a future there. I really wanted to be part of this internet thing, and that wasn’t exactly being taught. So, I pursued my own art and decided to make my own rules. In retrospect, I regret nothing. My first game was Fran Bow, but it looked a bit different from what Fran Bow is today. Isak Martinsson and I had initially been interested in making live action movies and animations. We also had a long background in art, writing, and music making as well. We wanted to be able to combine our passions, and games just felt like the right amount of all parts (art, music, writing, world creations, animation) plus two new things: programing and design. That made us feel like we would be able to LEARN new things, which is a very strong force that drives us forward. After we saw Indie Game: The Movie, we realized that our dream wasn’t so far fetched, and that we would be able to make a game even at home. We just needed to study a little on what software to use. Fran Bow is based pretty much on my life and the worst time of it, mixed with the most enlightning experiences. Father absence, sexual abuse, medical treatments that never helped, moving from Chile to Sweden, and all that entering a new culture carried with it–those are some of the bases for my creation. I really feel like, for me, it was the best 3 year therapy I ever been to. When I was in middle-school, I’d design these super elaborate levels for this game I’d invented called “Speed-Ball.” (Let’s leave the unfortunately naive name aside.) The game was an action platformer that was basically a mashup of Bonk’s Adventure, Sonic the Hedgehog and Super Mario Bros with a Mega Man twist in that you’d defeat master enemies and take their powers. The main character was the titular, unfortunately named, Speed Ball. He had a side-kick, Marble. They were residences of the Pinball Superworld, a Tron-ripoff concept wherein the world inside of pinball machines was full of sentient anthropomorphized steel bearings with themes and characters. Spider-ball. Aqua-ball. Ice-ball. Motor-ball…you get it. There were 503 of them all together, and I remember working tirelessly designing them. The levels were derivative crap, and every idea was just a slightly altered ripoff of the games that I loved when I was that age, but I learned a lot about game design from the experience. In ripping these games off, I was inadvertently taking what I intuitively considered to be the best parts of them and leaving the less impressive bits. You do that enough, and put your own love into it enough, and you’re making art.